Do you want to drive more loads to your door without even asking? Do you want to be the carrier of choice every time? Do you want your customer care function to work all day and all night without even being there? Do you want to open the door to customers who demand sophisticated shipment tracking without the high costs only the big carriers can afford? 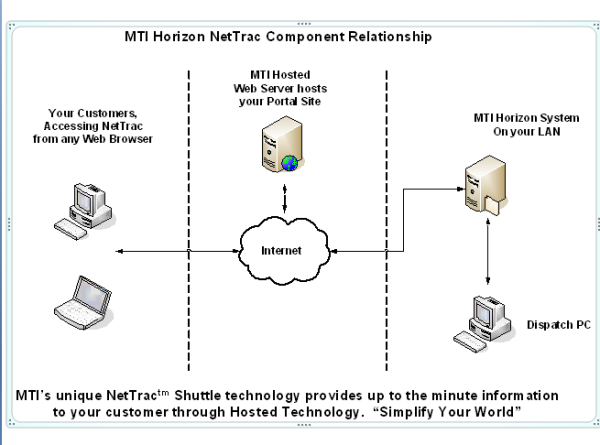 Then NetTrac™!, MTI's painless shipment tracking system, is for you!